The title page for “Junketsu + Kareshi” chapter 8 is very deceiving. Neither of these characters shows up in the chapter (except the Student Council President very briefly in a flashback). Anyhow…this chapter pretty much goes as predicted, though, there are a few funny Aki snide remark moments (thank goodness for those). Kana continues to bumble happily and senselessly along. Personally, I would have taken the hinges off of Masayuki’s door. Beyond that, the whole Masayuki situation makes no sense. People have to come out of their room sometime to use the bathroom and eat. And I don’t know how it works in Japan, but in the US, if kids don’t show up for school, someone starts investigating. Sigh…I guess we’ll have to suspend our brains for this series and just accept the situation. There was little suspense over who “N” is and, of course, every 15-year nerdy boy is a genius hacker — NOT! Okay, suspending my brain again…Anyhow, I’m glad this chapter was fast paced and got this part of the story over with quickly. I can’t say I’m feeling much suspense going into chapter 9. We all know if the person jumps, Kana can catch him or her before they hit the ground. 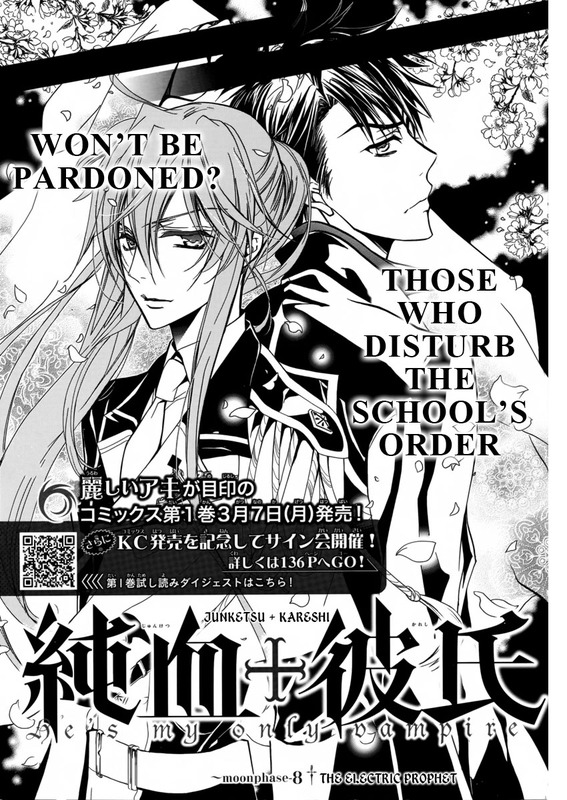 Hopefully, this means we launch into a new part of the story after that bit of drama is over — though, I imagine, it will take 30-ish pages to get the “Stigma” out of Masayuki. Or…maybe we’ll get lucky and get two Stigma extracted next chapter — “Pride” from the PC Club President and “Sloth” from Masayuki. And for goodness’ sake! Aki has to start biting Kana again! And it better be a creatively and beautifully drawn. 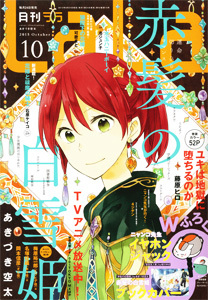 Next up is “Akagami no Shirayukihime” chapter 23 followed by a double release of “Pika Ichi”. ::pats Aki on the head:: Poor, poor Aki…lol. I give him credit for trying. However, step it up man! Do something! Anyway, I did like how Aki and Jin are so much a like. Made me laugh. Thank you for your hard work on this new chapter! But of all forms it makes me happy that it follows this history. For that it is called me enough the attention. Thank you very much for this release! <3 <3 <3 Mind if I'd post up some images from chapters on my blog? Of course, I'd include title, scanlation group, and the website. I'll also suggest go to your website for download. @HeartyX — that's fine with me as long as it's a blog entry.